The east coast has a different air about their music festivals than the west coast does. Both are valid experiences, both proffer the best of the best in arts and entertainment to the stage. 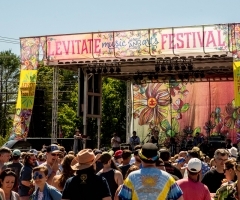 However, festivals back east, like the annual Levitate Music and Arts Festival, have a certain sense of community that remains absent at most fests out west – excluding Monterey’s premiere reggae rock extravaganza, Cali Roots, of course. That and Reggae on the River might rival what the east coast has going for them when it comes to a 'grassroots' feel. Once inside, Levitate made sure you had your head in the clouds. 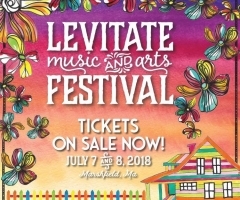 The weather was hot and humid in Marshfield – just adjacent to Cape Cod, MA – although it hardly detered attendees to file into Levitate right when the gates opened Saturday, July 7th. Three stages stood looming in a triangular array around the grounds, with the mid-size Style Stage hosting the first band of the day, The Elovaters. The fest might’ve been minutes into operation, yet The Elovaters had quite a sizable crowd to perform to. 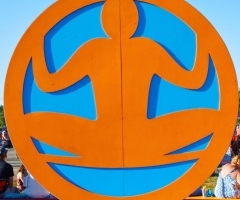 Getting acclimated to the grounds, one quickly became aware of the extensive vendor village, secured with a spinning Levitate symbol that had selfie-takers overjoyed all weekend long. Local food options were abundant and every few yards contained an interactive area, like ‘Chalk World’, ‘Bubble World’, a communal skate ramp and a kids’ drum circle. Once inside, Levitate made sure you had your head in the clouds. New Kingston inaugurated the Soul Stage next, before The Suffers opened up the main Stoke Stage – a band who, to be honest, stole the show right off the bat. The funky fresh costumes and rhythms of The Suffers had festival attendees jumping, singing, twirling and screaming long before 2pm rolled around. Xavier Rudd followed up the funk, complete with didgeridoo, chiseled torso and all. #Swoon. Then, Samantha Fish happened. Sam Fish deserves a much bigger stage, for this chick's guitar can wail on par with Gary Clark Jr. albeit she does it in rocker chic neon pink pumps. Her slide guitar action is RIDICULOUS, too. After everyone had a moment to pick their jaws up off the ground, Ripe came on the main stage to drop everyone's jaws AGAIN (Goon Squad styley) right before fan favorite Twiddle took to their reggae-folk fusion fashion on the Style Stage. It was truly a sight to see diehard Twiddle fans dancing and chanting along to every song. Robert Randolph’s family band entertained viewers at the Soul Stage although Slightly Stoopid starting 15 minutes later on the Stoke Stage was hard to beat. It was refreshing to see Stoopid perform in broad daylight... and before Stick Figure, no less! Considering the two are midway through their School’s Out For Summer Tour together, switching the lineup was a nice change of pace to fans that have attended several stops thus far. Stick Figure naturally slayed the Style stage before headliner Trey Anastasio Trio closed down the night, playing some of his solo stuff and Phish songs alike. Trey’s trance-like aura is mesmerizing and, with guitar held monumentally high in the sky, the night ended to uproarious applause. Day Two seemed just as hot as Day One, with several cases of heat stroke happening throughout the day. It’s essential to stay hydrated at these events! 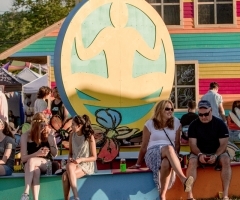 Temperature aside, Sunday’s lineup was a jam band fan’s heaven, with Quadrafunk and The Quins setting the tone before Stephen “Ragga” Marley’s roots reggae echoed throughout the grounds from the main stage. Arizona’s Spafford awed the amassed crowd, Jon and Roy furthered the vibes and Lake Street Dive was absolutely sensational. Lead singer Rachael Price’s mic moves can, hands down, rival that of Justin Timberlake’s recent Superbowl performance. Speaking of overly entertaining, the most colorful band in the universe got onstage next; that’s right, Turkuaz, in all their funky glory. West End Blend brought the business on the Soul Stage before Rebelution became MVP’s of Day Two. Not one single person was having a bad time at this point. Now well into the evening, it was time to close up shop, with Greensky Bluegrass up first on the Style Stage. 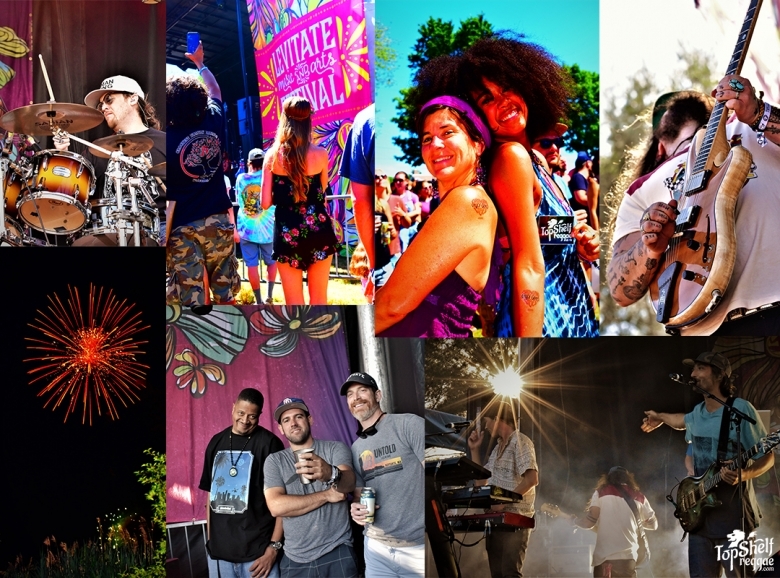 Twiddle’s Mihali and friends hosted a community jam on the Soul Stage – a one-of-a-kind performance – with several surprises thrown in for good measure, before The Head and the Heart marked the official end of Levitate 2018. Walking out to your car that night felt like you were floating a little. The air had a nostalgic feel to it, like camping, and music was ringing in your ears… a perfect soundtrack to a beautiful midsummer night. Until next year, attendees were left with unforgettable memories and priceless treasures of the weekend. Cheers to 2018 and may the excitement for 2019 begin!